What's your outfit of the day? 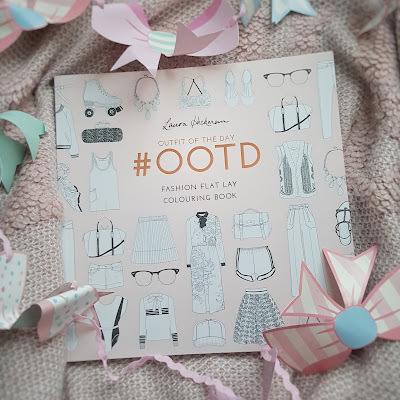 Whether you're a boho babe, a rock chick or a seventies sister, show off your #OOTD by coloring in these chic black and white fashion fashion flat lays - giving each outfit your own personal style. Including real pieces by independent designers and many timeless fashion trends, this book is perfect for every fashionista and coloring enthusiast. Let me just say, I will be totally biased because I love fashion. I scroll Instagram for the OOTD (which means outfit of the day) of all my favourite icons and celebrities. My style is a mix of boho meets edgy and opening the pages of Laura's #OOTD colouring book, my wishes came true. Inside, there are stunning designs, outfits, different trends and styles no matter what your signature look is. 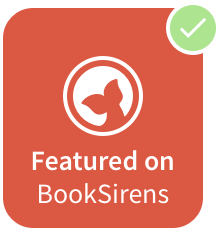 I had the pleasure of getting this for review, but if I had seen this in my local bookstore, it would have been coming home with me. 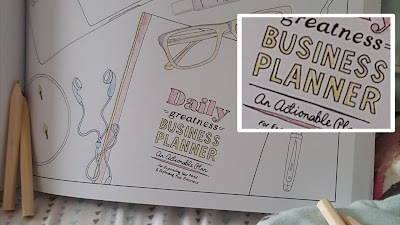 Not only do I get to colour (one of my favourite hobbies) but I get to mix two of my favourite hobbies by Laura's craft of merging colouring and fashion effortlessly. 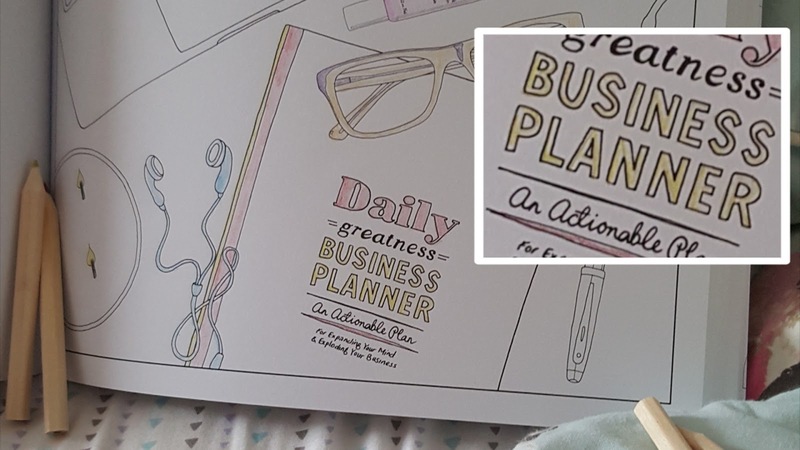 One of my favourite designs (below, half coloured in so you can see the chic monochrome design) is with a laptop, candle, pen, headphones, glasses and daily planner, which ultimately looks like my day-to-day life when I'm blogging away. I love that the drawings are so vivid and realistic, equally paired amazingly with ebullient and fashion-forward highlights. Overall, I literally can't stop thinking of when I get to colour in this again (right after this review, most likely). It's perfect for girls and guys who love to colour, are addicted to fashion and obsessed with the #OOTD trend. I highly recommend it as a gift also! At this time of year, that family member of yours or your best friend who loves style and fashion will adore this. Five stars completely. 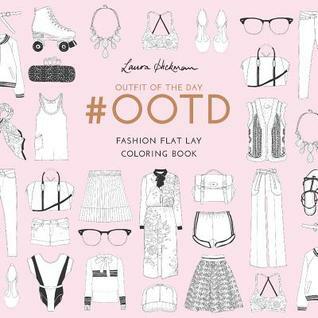 Have you heard of #OOTD by Laura Hickman? Let me know in the comments or on twitter @LittleMemoirs! Don't forget to scroll that #OOTD tag on Instagram to get some major fashion envy.